City transportation planners organized an open house Tuesday to inform the community about a Shattuck Avenue reconfiguration project adopted by Berkeley City Council in January 2013. The project’s primary concern is pedestrian safety, which project managers say is currently most problematic at the intersection of University and Shattuck avenues. According to data from the 2010 Berkeley Pedestrian Master Plan, the intersection has experienced one of the highest pedestrian-auto collision rates in the city. 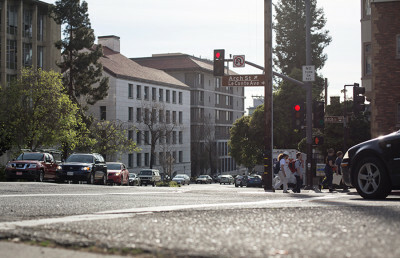 City planners hope to improve pedestrian crossing by establishing a two-way street on the west side of Shattuck Avenue, thereby eliminating the need for northbound motorists to make a left turn on University Avenue before proceeding right to continue onto Shattuck Avenue. The east side of Shattuck Avenue would remain a one-way street intended mainly for local traffic. 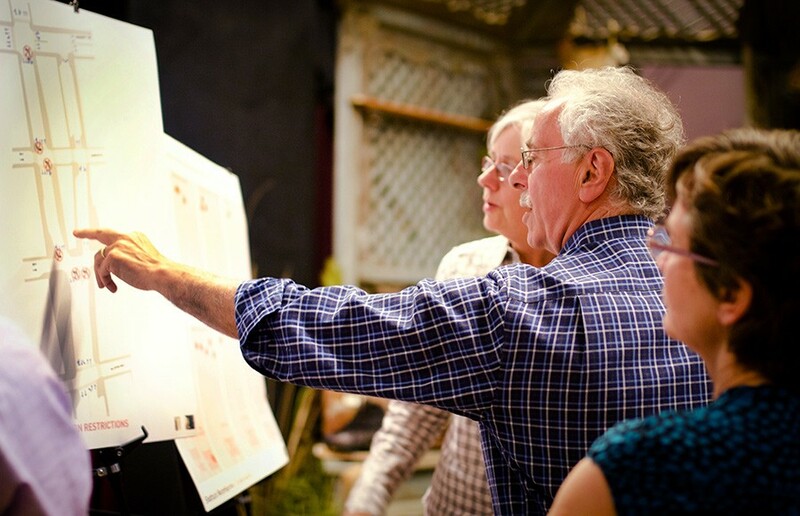 Tuesday’s open house at the Aurora Theatre in Downtown Berkeley was intended as an opportunity for community members, local business owners and other stakeholders to learn more about the project’s goals, and to provide feedback on its design to consultants and city planners stationed throughout the room. Staff members also invited open-house guests to give feedback by placing sticker dots on posters representing the most important roadway and traffic issues for Downtown. By the end of the evening, guests had voted for vehicle parking, freight loading zones and transit stops as their top priorities for use of curbside space Downtown. Farid Javandel, manager of the city’s transportation division, said the reconfiguration aims to help make Downtown Berkeley a safer and more enjoyable experience for residents and workers who visit the area daily. 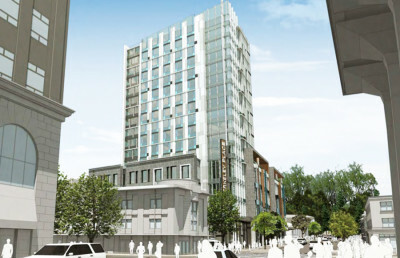 But attendees at the event voiced several concerns about the project, which included the potential loss of parking spaces and delivery zones for businesses on the west side of Shattuck Avenue. Erik Bigglestone, general manager of Games of Berkeley, went to the event hoping to understand exactly what changes would be implemented near his storefront at the corner of Shattuck Avenue and Center Street. He expressed concerns that new street signs and foliage would likely block potential customers from seeing his window displays, meant to draw people into the store. John Gordon, who owns several properties on the affected stretch of Downtown as the founder of Gordon Commercial Real Estate Services, voiced concerns about the area’s many historic buildings. He noted that with narrowed lanes and no street parking on the southbound side, there would no longer be a “buffer” between cars and the buildings. While street parking will be reduced on the west side of Shattuck Avenue, it will be adequately replaced with new angled spots on the east side, and there will be a minimal net loss of total spaces after the project is completed, according to Sage. Although construction was originally slated to begin in summer 2016, Sage said that a more accurate estimate would place the start date in spring 2017, with a six- to 12-month completion goal. Another community meeting will be scheduled for fall, when the preliminary design is closer to finalization. Contact Ariel Hayat at [email protected].